Plantation, Florida is located in Broward County. It was incorporated in 1953 and has continued to expand into a vibrant city of around 93,000 residents. It is home to many large firms, forming a competitive business environment. The beautiful city encompasses an abundance of trees, safe neighborhoods, world-class recreational venues, and is known to be a stable business community. The city is also rich in entertainment and recreation opportunities. The Plantation Historical Museum is a great place for history lovers to learn more about the area. Located in Old Plantation, it has a unique collection of information on the history of the area, as well as special holiday presentations. Recreation options include golf, and golfers will enjoy the Jacaranda Golf Club, which has two courses with challenging greens. They also offer a pro shop and lessons. The Plantation Preserve Golf Course is also a nice course with a challenging layout, water in play and lots of sand. The Plantation Parks and Recreation Department offers a variety of options to residents. The Central Park Aquatics Complex has two Olympic size pools as well as a water playground for toddlers. Options for adults include opportunities to take part in basketball, softball, and soccer. There are also youth sports available in the same areas. Plantation is also supportive of its equestrian community and has an Equestrian Center that has two stables, one central ring and two show rings, two practice rings and turn-out paddocks. There are bleachers to accommodate some 300 spectators, as well as an ancillary building, all set on 85 acres of amazingly beautiful acres with boardwalks and bridle paths. The city also operates parks, tennis courts and has a pavilion available for special events. 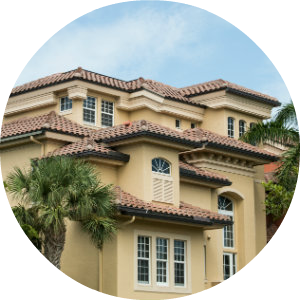 The real estate options in Plantation offers ranch-style homes as well as luxury multi-level homes, townhomes and condos, set in beautifully landscaped areas. This urban environment is mixed with a homestyle way of life as the result of careful planning by the city and volunteer organizations. Within this friendly city, there is a diverse population, and the neighborhoods are lush and designed for easy walking. Stores and eateries are close to the neighborhoods, and the many activities keep people busy. 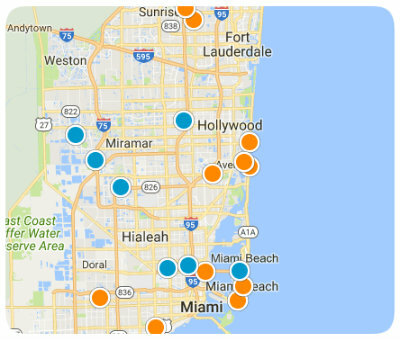 Add to that the proximity of Miami for additional amenities, and you have a great location for homebuyers searching in South Florida. 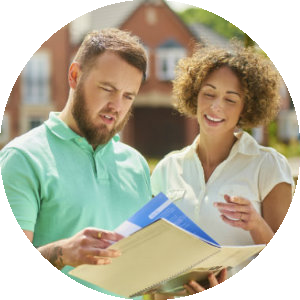 If you would like more information on homes for sale in Plantation, Florida, please contact us today and allow us to assist you.